I’m making a couple batches of this yummy treat tomorrow for a youth game night at our church. It’s a perfect fall treat, but I’m going to make it a little more festive this time by adding some candy corns to it. I may even go all crazy and drizzle some white chocolate on top. Maybe I should also hand out toothbrushes and dental floss, what do you think? Just kidding! I think the kids will love it! Here’s my original post in case you missed out. 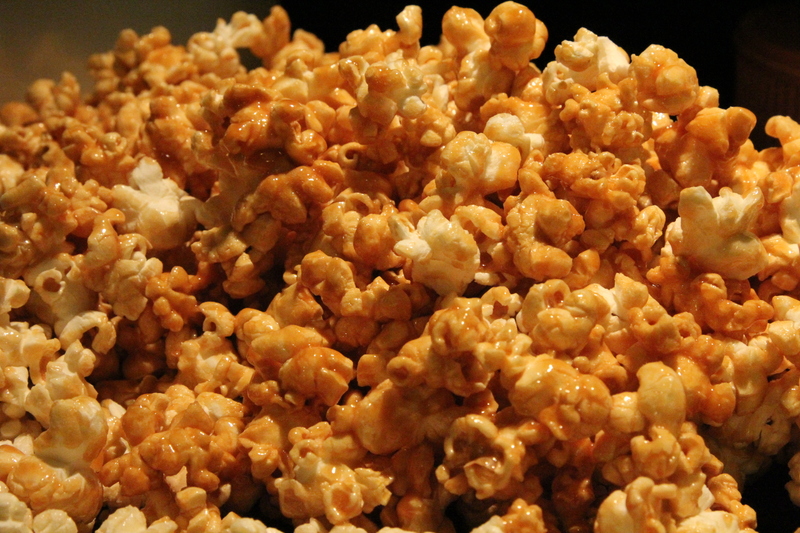 My mom always made caramel popcorn from scratch as a special treat for my brothers and me. It’s one thing that I’ve never made, so this last weekend when my parents were staying with us, she showed me how she makes it. It’s quick and easy to make and only takes a few ingredients. Also, this recipe doesn’t require any fancy tools. One thing you’ll need is a large clean brown paper grocery bag. Remember the old paper bags that we all used to get at the grocery store before the plastic bags took over? When I go to a smaller store and get a brown paper bag, I always keep it on hand for different crafts, food drives, or things that come up. You could always pick up a brown paper leaf bag and just cut it to the regular height. We had been out exploring a nearby Amish community all day, shopping in quaint little Amish shops, antique stores, buggy ride, and eating all kinds of goodies. My mom managed to crank this popcorn treat out in a matter of minutes after our long day and we all gobbled it up. It reminded me of a time when I was a kid and my older brother (we’ll call him older brother #2. For those of you that know my family – let’s just say our names begin with the same letter!) 🙂 Well, my brother and I were making popcorn using the old air popper and instead of melting butter in the top tray thing on the popper, he decided that didn’t hold quite enough butter or wasn’t fast enough or something. Instead, he put my mom’s cherished huge Tupperware bowl into the microwave with butter in it to melt it. I’m not sure why, because this was the bowl that was also supposed to hold the popcorn, but this was probably 30 years ago, so my memory may be fuzzy. One thing I do remember is that big yellow Tupperware bowl melting all over inside the microwave and stinking up the house like a toxic factory. My mom was so mad, but with having two boys and me, she kind of learned to just laugh about it and think on the bright side. At least he didn’t burn down the house! Oh, those boys and their fire. I’m sure you’ll read more about our crazy mishaps on here in the future. 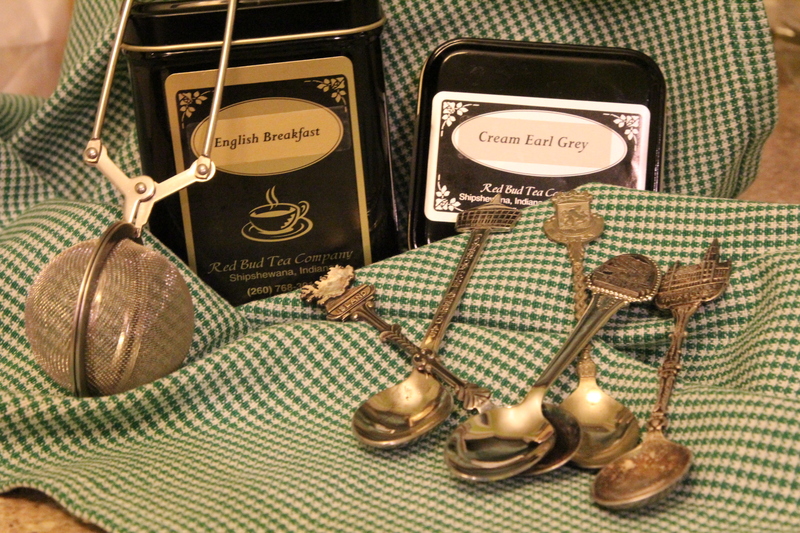 My little finds of the day from our Amish adventure: Loose leaf tea in a few of our favorite flavors, new tea strainer, and little antique spoons. I love tiny little antique spoons. I especially love eating ice cream and desserts with tiny spoons. 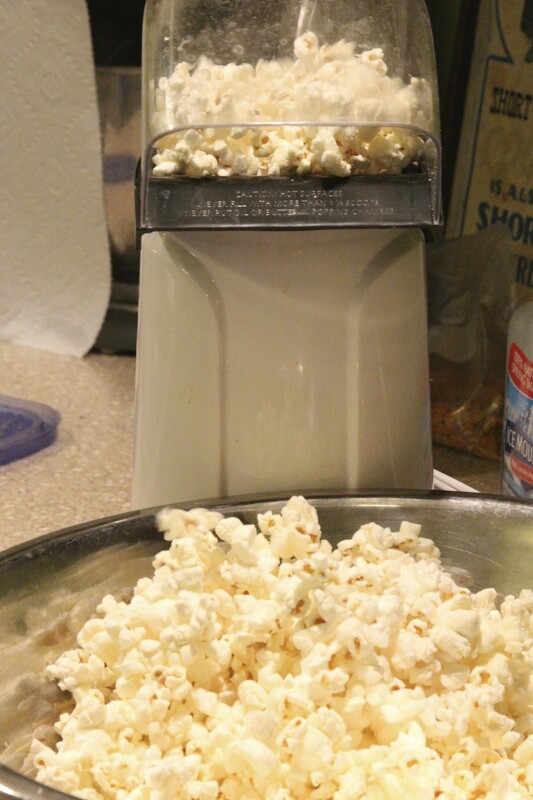 Pop the popcorn with an air popper. Set aside. You can also use plain microwave popcorn in this as well. Transfer popped popcorn to a large brown paper grocery bag. 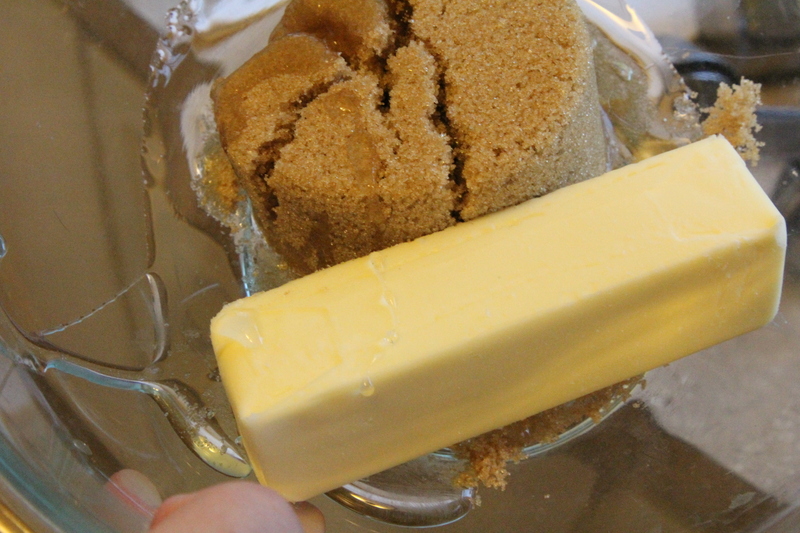 Place stick of butter, brown sugar, and corn syrup in a microwave save bowl. This will get really hot in the cooking process so make sure it is something that can really handle the heat, such as a Pyrex bowl. Cook in the microwave for 2-3 minutes until the mixture starts to boil. 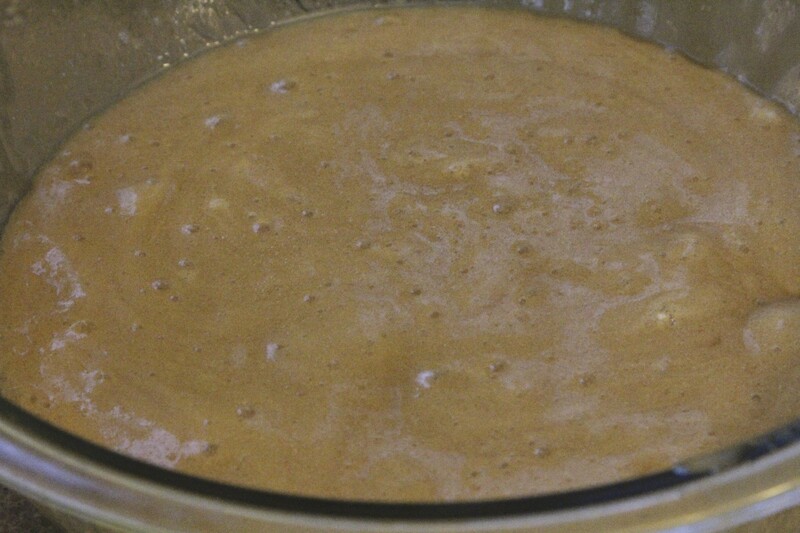 Carefully remove from microwave and stir in the baking soda to create the caramel. Use caution as this is very hot. 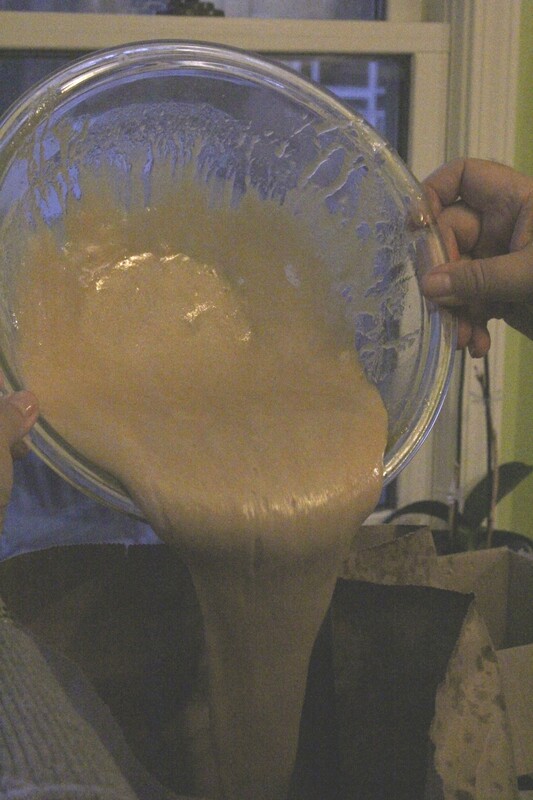 Carefully pour the hot caramel over the popcorn inside the brown paper bag. Roll the bag to close and give it all a good shake to thoroughly coat the popcorn. Place the bag with popcorn inside into the microwave, re roll top of bag again to close if needed. Remove bag and shake it all again. Place bag back into microwave and microwave for an additional 1 1/2 minutes. Remove from microwave. Pour popcorn out onto a jelly roll or sheet pan to cool. Once the popcorn is cool, you can transfer to an airtight container and it will keep for several days. I recommend making this in a few batches if you want to make a large amount of caramel corn, rather than just doubling the recipe. Just keep reusing the same bag for all your batches.